Call of Duty: Mobile is coming to iOS and Android, and it’s sure to be a hit if the many, many console and PC games are any indication. We can’t wait to see what the game turns out like, and if you want to be one of the first to play it, you can sign up to be part of the initial beta right now. When it goes live fully, Call of Duty: Mobile will be available to download from both the Google Play Store and App Store, as has become the way with such games these days. Activision says that it plans to start running early beta events ahead of its launch, and that anyone wishing to join can do so now. If you’re an Android user, you have a couple of options. The easiest may be to head to the Call of Duty: Mobile Play Store page and tap the Pre-register button. That’ll sign you up and you’ll hear when the beta is ready to go live. If you’re of the iOS persuasion, you’re going to have to do things a little differently. 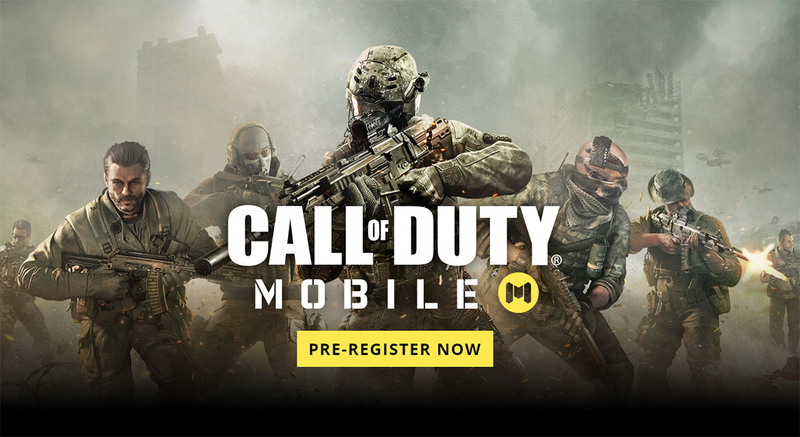 Instead, head on over to the official Call of Duty: Mobile website at callofduty.com/mobile and enter your email address and other details after clicking Pre-Register Now. You’ll then be alerted via email when the beta is ready to go. We don’t yet know when Call of Duty: Mobile will be ready to go live in either beta or final form, but when it happens, it’s sure to be the biggest thing to happen to mobile gaming in a while. We’re curious to see how the Call of Duty experience translates to mobile, and hopefully, we won’t have to wait too long to find out.